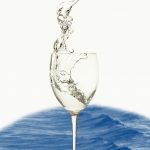 The duplex nature of the Two of Cups develops here into a triplicity. 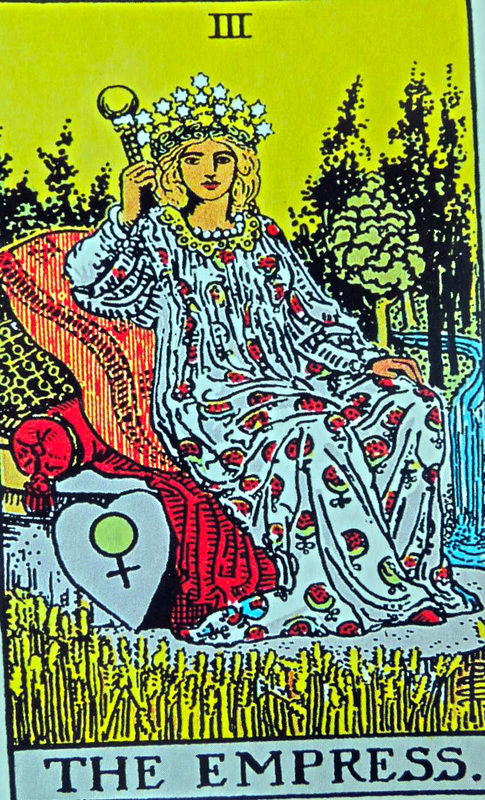 We see women celebrate in a prosperous garden. 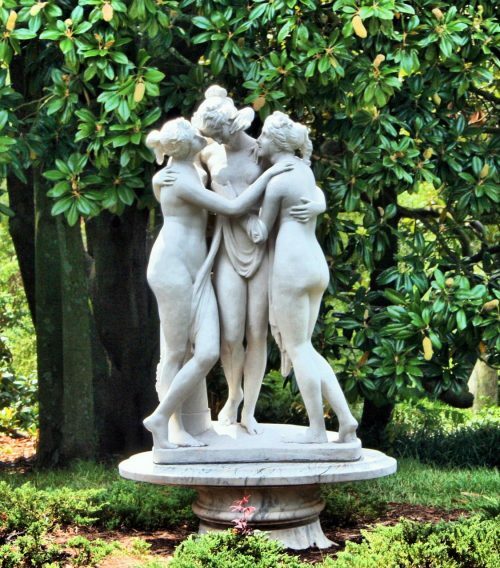 I will not go into detail on the symbolism of the number three, but the first figures that come to mind are the three graces of Greek mythology. 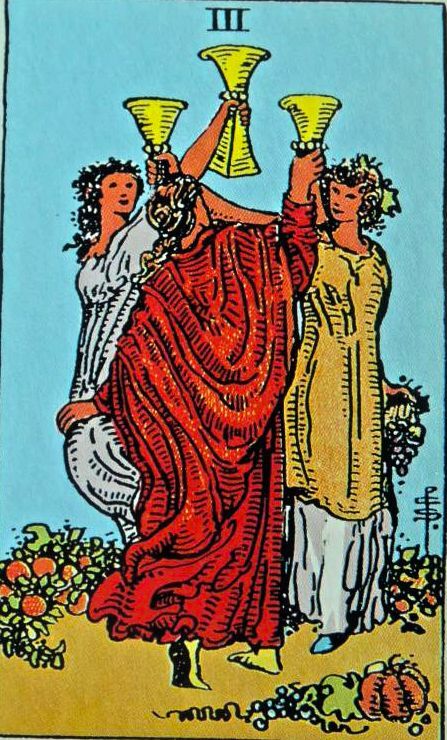 Here, the three women wear white, red and gold. 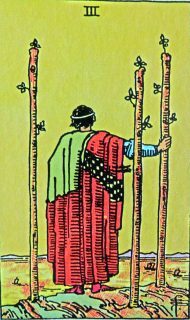 Red is central in the Three of Wands, as well, where we see a man facing a vast, golden landscape (the same colour as the ground on the Three of Cups). 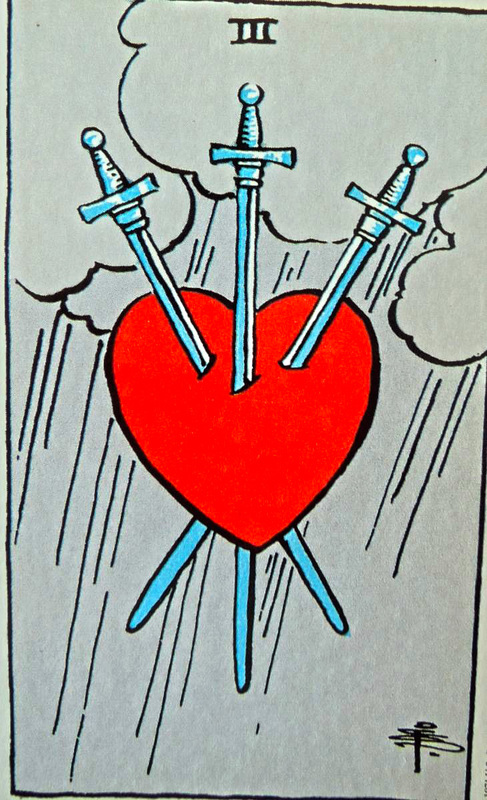 A red heart is in focus in the Three of Swords. 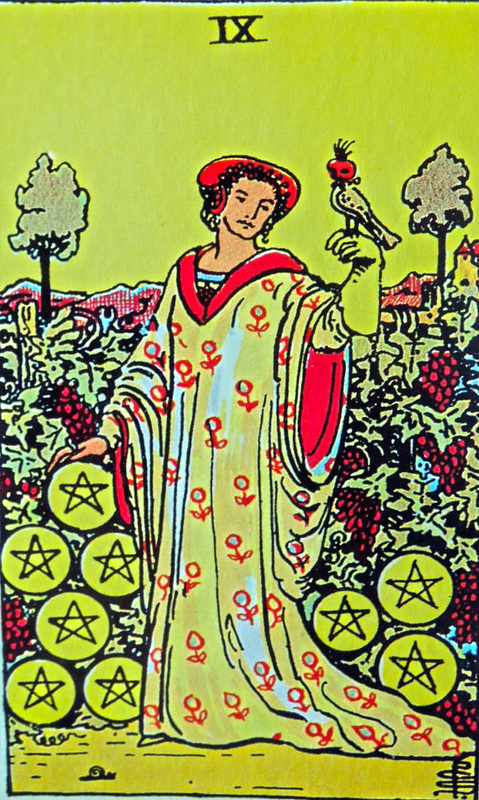 The exception seems to be the Three of Pentacles, where red is not placed in the visual centre, though the red motive on the robe of the man on the right seems to echo the rose in the middle. 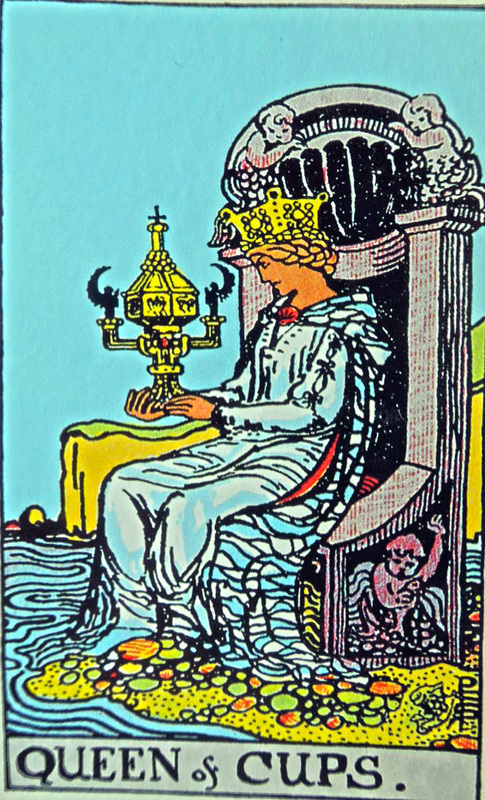 In the Three of Cups, the blue of the sky is reflected in the shoes of the personage dressed in gold. She also holds blue grapes in her hand. 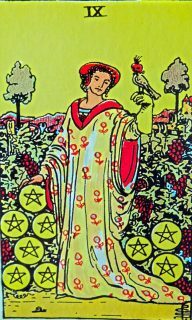 There is some resemblance with the Nine of Pentacles, where we see a woman alluding to the sky (a falcon on her hand) and among grapes. 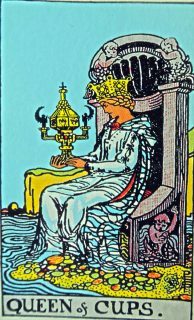 But on the Three of Cups, it seems as if her goblet was a funnel, and the blue of the shoes and the grapes were heavenly water flowing through her body. 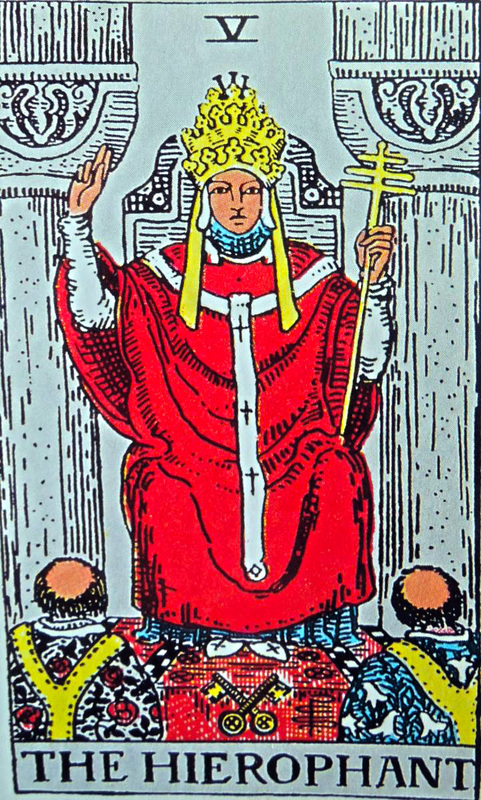 Notice the striking structural similarity with the Hierophant. 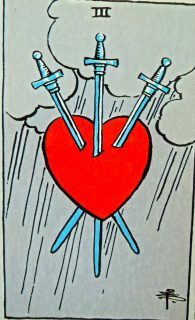 On both, there is a central red figure in the company of two others. 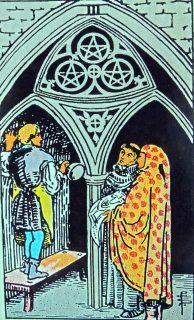 But the dynamics of these two cards is contrary: on the fifth major arcana, the figures are male, and they observe a rigid hierarchy (as opposed to the Three of Cups which is a meeting of equals), etc. 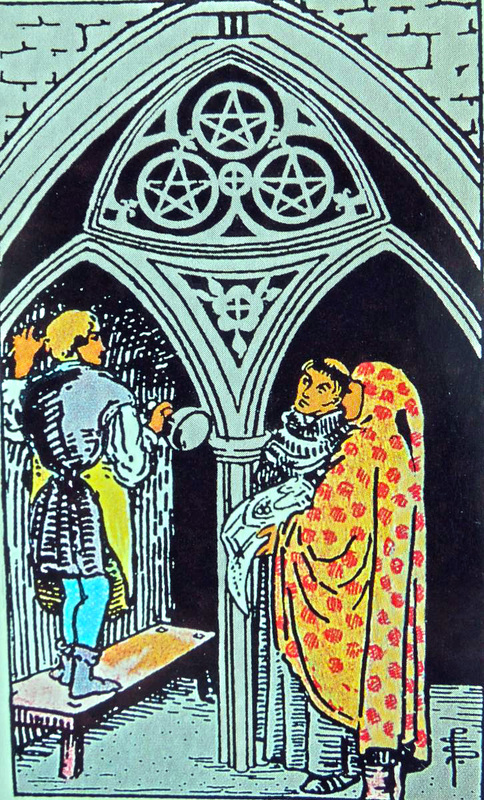 The two golden details at the feet of the pope (worn by the two monks) recall the golden shoes of the woman in the red dress on the Three of Cups. 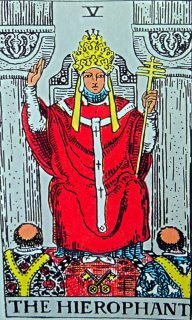 The Hierophant has no goblets, but he is wearing a three-tiered tiara and a papal (triple) cross that hint at the three cups held in the air. 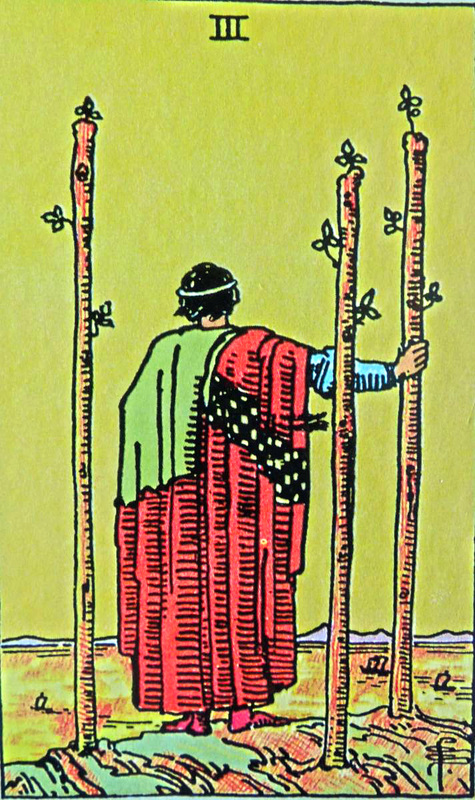 Interestingly, one of the monks is wearing the dress of the Empress, and the other has the cape of the Queen of Cups. The question arises whether we see two very different expressions of spirituality here. The Pope is chosen to represent celestial power on earth, and he is seated in a church, probably performing a strict ritual. 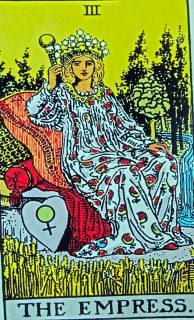 The women on the Three of Cups are together in an intimate, spontaneous and unceremonious way, where spirit flows freely and naturally. 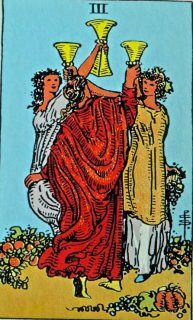 As opposed to the Hierophant, the Three of Cups welcomes all to their holy communion without conditions: there is no dogma to accept, and no rituals to follow.